Illuminate a bedroom or living space with the Las Palmas Floor Lamp from Eichhotz's popular lighting range. Elegant and stylish, the polished brass hue will add glitz and glamour to any home whether a period townhouse or city apartment. 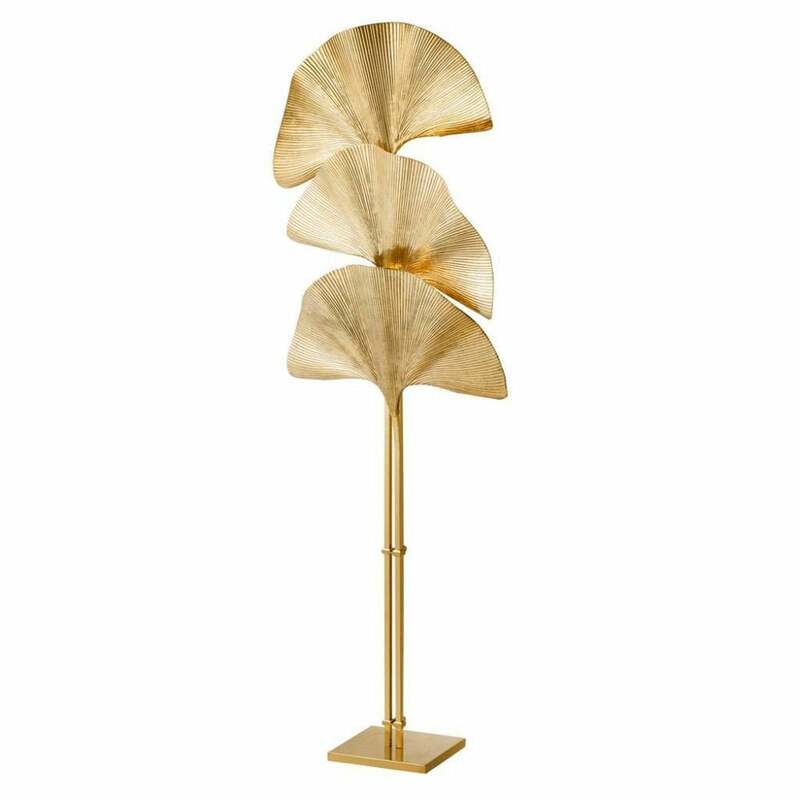 Featuring three pleated palm leaves, create a golden glow that gives a nod to the opulent furnishings of the Art Deco era. This floor lamp would look beautiful within a scheme of warm chocolate browns, taupe and mink. Also available in tarnished silver, create a 1930's style dressing room suite and combine with delicate hues of grey, white and blush pink. Pair with the Las Palmas Wall Lamp for a cohesive interior scheme.